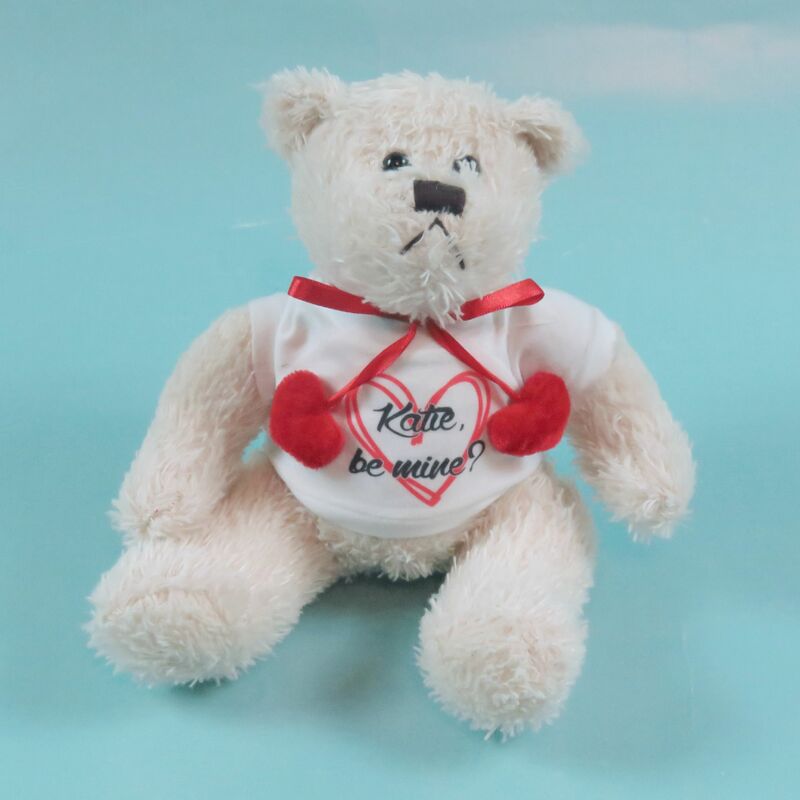 Fully customize your text: This Teddy can be personalised with a name, a unique message, memorable date or a picture/photo of your choice, to make it the perfect gift for you or someone special, for any occasion. Double Sided: The design can be printed on both sides of the teddies T-Shirt for an additional cost. Long Lasting: The design is printed with sublimation which embeds the ink into the Teddies T-Shirt. This means it will last hundreds of washes and will never peel, crack or fade. Teddies: Teddies are 22cm when sat down and come with the t-shirt already on the teddy after it has had your design printed onto it. Is someone you know getting married? Perhaps your're after a memorable way to say thank you to the little guests at your wedding? Or maybe you're after a unique way to remember a special date? Then this is the teddy for you! They are Cuddly, Fluffy and Absolutley Adorable. A Fantastic personalised Companion for yourself or that special someone. All our Teddies are designed with Love and Care . If you want this item personalising, just let us know. If you do not contact us then we won’t personalise the design and you will get the simple design not personalised. If you want to change this item, or don’t see quite what you’re looking for, send us a message, we’re always happy to help you and happy to create new designs! And if you see a design on one of our Teddies or any of our other products e.g. a Teddy design you like printing on a mug or a mug design printing on a Teddy, we will be happy to do that for you, No Problem!